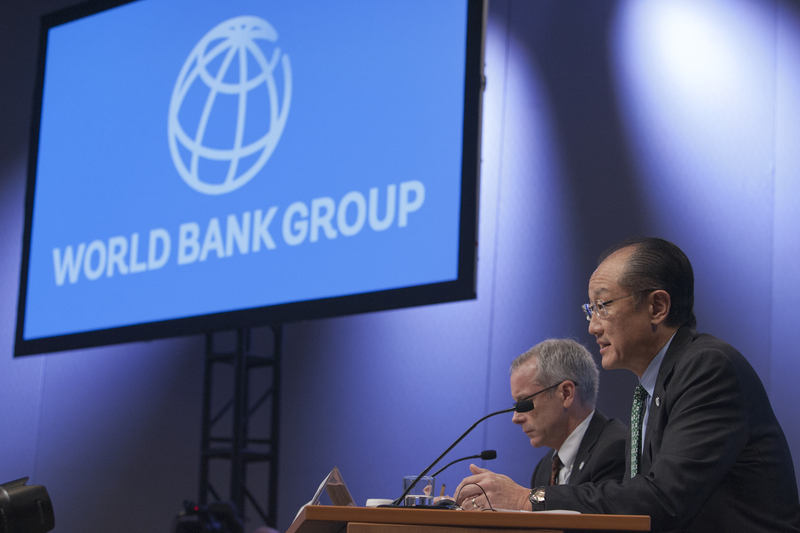 Former World Bank President, Jim Yong Kim, stepped down in early January of this year, leaving open a highly influential position for a Trump nominee to fill. After about a month, President Trump has finally come to a decision regarding the vacancy and has nominated David Malpass to fill the spot, the Under Secretary of the Treasury for International Affairs and the senior economic advisor in Trump’s 2016 campaign. Malpass must still be ratified by the Bank’s board, but it is unlikely he will be contested. The nomination has spurred much criticism from the international community due to Malpass’ proclivity for publicly critiquing the Bank and the scope of its work. Tasked with funding development initiatives across the world, Malpass believes the bank’s recent operations have overstepped its original mandate and that it has become an institution that intrudes on domestic matters that do not involve it. Malpass’ nomination speaks to President Trump’s protectionist values which he will likely try to support with Bank policies. The resulting policies of Malpass’ presidency will also go to show that the Bank is an easily biased institution when it comes to the influence of great powers. While the President of the Bank does not have complete control over policy, they have quite a bit of influence over what content is published. This responsibility gives quite a bit of power to the President, especially regarding what type of image and ideology the Bank projects and promotes to the outside world. The Word Bank was originally envisioned as a tool to reconstruct post-war Europe but from the 1950s has evolved into a leader in the development of developing and underdeveloped countries. There is no doubt that the Bank has experienced so-called “mission creep,” or expansion beyond its original scope. Its proclivity for conditional loans has heavily influenced the domestic economic and social policies of many countries in the global south. Without the historic support of the US for these coercive policies, the Bank never would have been able to implement them. While the US has always held veto power in the Bank, the idea that one party in one country may have the ability to change the role of a multilateral global governance institution is certainly something to consider in assessing the institution’s autonomy. In nominating Malpass, Trump has expressed his interest in “serv[ing] American interests”. What exactly this will mean in practice is difficult to predict but it is likely that Malpass will attempt to use the Bank to counter China’s One Belt, One Road development initiative. Malpass’ criticisms focus not only on the role of the Bank but on its policies that facilitate Chinese loans from the Bank. He believes that China, the world’s second largest economy, should not be able to borrow billions every year in order to help spread their influence. China’s state funded infrastructure development companies, such as the CRCC and CCECC, have undertaken hundreds of development projects from southeast Asia to Africa to the Balkans in Europe. The expansion of Chinese development is a part of China’s goal to build a new silk road and spread their economic influence as far as possible. There is no doubt that China’s widespread success in securing development and infrastructure contracts is perceived as a threat by President Trump. With Malpass in charge of the Bank, and his known distaste for lending to China, it is very likely that policies allowing lending to China will be restricted at some level. Precedent for this has already been set when, in 2016, President Trump used American leverage in the Bank to create higher loan rates for countries with higher incomes. While it is too early for informed speculation, stricter lending policies combined with the fact that China takes out billions of dollars in loans each year from the Bank will surely have some sort of impact upon Chinese development initiatives. Malpass’ nomination not only forewarns impacts on China, but it also threatens the characteristic of the Bank most valued by its employees- its supposed impartiality. The expert staff at the bank and the country representatives will likely resist many of Malpass’ inclinations but, facing an American veto and Malpass’ presidency, it is possible that any attempts at objectivity will be foregone in exchange for pursuing American interests. Featured Image by World Bank Photo Collection, via Flickr Creative Commons.